The ultra-slim Pantech HotShot is the latest addition to Verizon’s feature phone lineup, arriving online on October 6th and coming with a 3.2-inch screen and a not-so-affordable price tag. So what is it that you get with the HotShot? Not much, actually. There’s a 3.2-inch touch-enabled LCD display and the thin, 0.35” body. Then on the back you have a 3.2-megapixel camera, Opera Mini for browsing the web and 2 gigs worth of memory in a pre-installed microSD card, extendable to 32GB via a microSD card. And again, that's not a smartphone, so there's no Android, Windows Phone or any other contemporary platform you might think of. Now, this could have been exciting years ago. It could be of some interest if it was given away for free with a contract. But it’s not - it will set you back $99.99 when you sign a 2-year agreement with Big Red, but you’d actually have to pay $150 at first as there’s a $50 mail-in rebate. Who’d get this? We don’t know the answer to that question, but maybe you do - if so, feel free to share it in the comments below. I dont know, maybe it would be good for an elementary school age kid? At 100$ ? Expensive for a school aged kid... No, really, given the price, who could want that ? For just a little more you can have a super android, or for the same price, a mid-end android to doing many more things. That's Verizon's strategy...push you away from a "basic" phone and into a "Smart" phone. Idk what ya'll and Phonearena are talking about. $100 is not that much whether its for an adult or a kid. People buy their kids $200 dollar ipods and xbox's all the time like its nothing. And remember there's no $30 a month bill. Not everyone wants the latest and greatest. It's $29 at Radio Shak, least a data plan isn't required. minimum data plan ($10/mo, 2GB/mo) is required. CORRECTION minimum data plan same price, 75MB/mo. I am considering this phone as a replacement for my 2-year old LG Chocolate Touch which is having issues with the internal speaker. I don't need access to the web or email, GPS, etc., All I need is a basic phone, and my preference is for a bar phone like this rather than a bulky flip. I agree with CorporateJP. There are few basic phone choices, and eventually they'll be phased out entirely, which will require subscrition to a data plan, whether they need one or not, just to get dial tone. The retail on this phone is a ridiculous $269. Even after all the rebates and discounts, it's still $99 w/ a 2-year plan for a no frills phone that should be free. Commiting to stay with Verizon for 2 years should be reason enough to qualify for a free phone. Snagged it for $0.01 with Amazon Wireless's limited time offer. It's on backorder though. Does this surprise anybody? I seriously considered switching back to Verizon (from T-Mobile) until I took a look at their selection of phones. For being the largest cell phone company in the US, they have the worst selection of phones - regular or smartphone - of any of the companies. When I looked they had 2 or 3 Android phones, and I think 1 Windows phone....and they were super expensive. Pretty crazy considering everything they were offering was at least 1 year old at the time. This was before they got the iPhone, so maybe things have changed. To compare, T-Mobile was giving away all of their smartphones....including all the new releases. This is for StevenWin785 When you say tmobile was giving all there smart phones away u should stop and ask yourself why/ Most likley because they have no choice or else no one would want there service. As far as verizon. Last time i checked they have a larger choice then most companies. right now there are over ten different model androids 4 blackberrys about 10 feature phones so my question is what store did u go to where you only saw 4 androids. Becarefull where you by your phone a lot of places claim to be corporate and are not so only carry a limited selection of phones and its usually the junk models because they would make more money selling those phones. And remember what they say about free products. You get what you pay for. "You get what you pay for" sums it up. I am a happy T-Mobile and Verizon customer, but even I can tell the difference of which one works better and faster. What ticks me off about these touch screen feature phones. Is they are ALL 1X phones. The LG Voyager and Dare of 2007-2008 HAD 1X AND EV-DO! VZW wants to force people to a smart phone by stripping it down to nothing. But $99 isn't nothing. If my job didn't require me to use a smartphone, I'd still be using an LG Versa, which is 10x the phone that this Pantech is. Pantech Hotshot does do EV-DO, only now it's called "3G". might be decent for those of us that refuse to pay absurd data plan costs every month. Let's hope the phone has good battery and build quality too... my env touch is nearly dead. Exactly... since I've been sitting on a $30 upgrade bonus too, it would make the price that much cheaper. Who know's they may even do the free phone (with 2 yr activation) deal currently running with the Pantech Jest 2. I totally agree with you - I am parent who wants my child to have cell phone and she wants the "latest and greatest" without the extra expense of the data package. She doesn't need the data on her phone when she has an ipod and laptop already. So, the HotShot actually is what I am looking for. I agree, I cannot afford the data plans so basic is what I can get until Verizon decides to lower their outrageous data charges (if they ever do) but I did find this Hotshot through walmart.com for free with either a new 2yr or an upgrade 2yr!! I like free better than $100!! Well you remember the LG Octane was $150 so for this phone that is not a bad price...also keep in mind the 3.2 MP camera, most of the basic phones only have 1.3 or VGA which is a lot better. 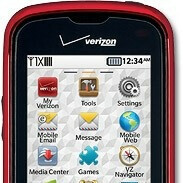 Can not wait to sell this one when it comes out..
Octane is the best feature phone vzw has right now. Sure it's not a touch screen, but the specs are dead on with battery life and performance. Actually, people who want a touchscreen phone without paying an extra 30 to 80 dollars a month would want this phone. Not everyone wants a smartphone. It say Pantech on it, that's all I need to know. Run. Away. Fast. this phone is going the right direction for a lot of us. a modern presentation without being a smartphone. Not everyone needs data 24/7. I already have it 22/7 m-f and 24/7 on the weekends. no smartphone needed. thanks Verizon! or don't wanna be traveling with a charger and chord b/c by 2pm, my juice is too low and I might wanna, dare say it...make a phone call. This phone is meant for a different market than those of you who MUST HAVE a smartphone. So don't waste your time criticizing it. I happen to be in the market that needs this type of phone. My 16 year currently has a smartphone. My husband and I will not let her drive as long as she has that thing. Before she can get her license, she has to replace it with a basic phone. We want her eyes on the road, not on the smartphone. We have been struggling to find a basic phone with a touch screen that is aesthically pleasing to her. Finally, today I found out this phone is going to be available. Just in time...my daughter has her driver's test in one week. She's not happy that the Blackberry has to go, but she's relieved that at least this model is available. They keep pushing, I'm just gonna tell them to go Eff themselves. I been with VZW since 03 and the phone service has been perfect. I can't afford 30 a month for data. But if my upgrade comes next year, and there's nothing. I'm out. approx. 6 mos ago, due to financial issues, my family had to get rid of our smartphones and go back to basic phones. We sold them and then went back to our old LG VX8300 and LG enV 2 that we had sitting in a desk drawer. It saved us at least $60/mo on our bill that we just couldn't afford. I miss my smartphone a lot, but will not be able to afford a data plan, at the rates they are now, for at least another 2 - 3 years. I am eligible for an upgrade right now, but choose to stick with my 5 yr old phone because it's better than anything else, as far as basic phones go, at Verizon right now. This might make me change my mind if they lower the price. I am not willing to pay $100 for this, but I would pay $50.